With 159 million subscribers worldwide, Spotify is the world's largest music streaming service. 88 million are willing to put up with listening to ads in order to get a free, basic version of the service. 71 million pay $9.99 a month for the premium version of Spotify, which starts with the basic platform and adds the ability for users to have unlimited song skips and offline downloads of music. Apparently, some enterprising mobile Spotify users discovered that they could get unlimited skips for free without having to pay for a premium subscription. To do this, these hackers installed a "Spotify Dogfood" app from the Google Play Store that contained patches to Spotify's APK. This allowed users of this app to remove ads from the free tier of service, and have unlimited song skips. 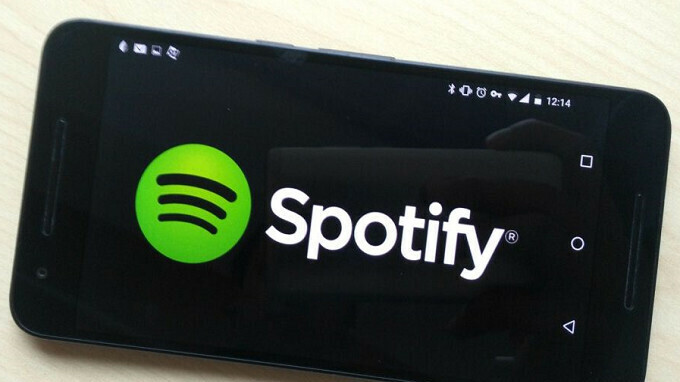 The offline music downloads remained unavailable to the hackers, who still had to sign up for an ad-supported free Spotify account in order to take advantage of the hack. With Spotify filing for an IPO, the company needed to crackdown on those not paying for premium features. The "Spotify Dogfood" app has been removed from the Google Play Store, and Spotify has sent out an email to those who have downloaded apps that can modify Spotify's install files. The missive makes it clear that Spotify is on to these premium service freeloaders. 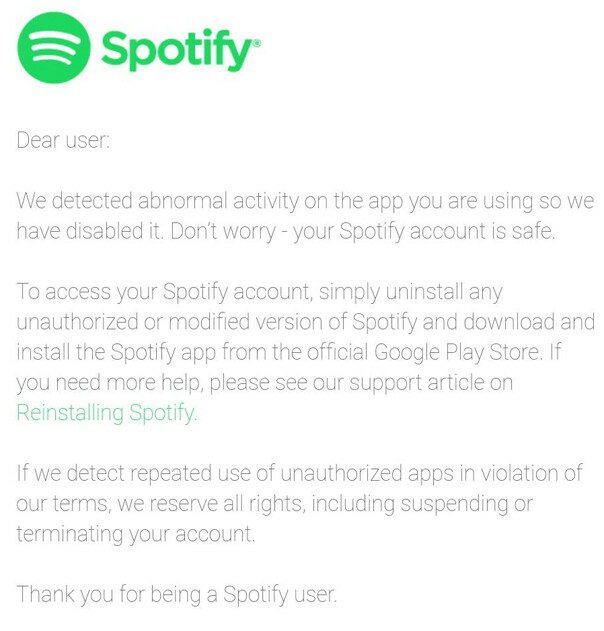 While it is unknown how many people are abusing Spotify's music streaming service, the company said in the email that it has disabled the apps that allow this hack to happen. "We detected abnormal activity on the app you are using so we have disabled it. Don’t worry – your Spotify account is safe," wrote Spotify in the email. You can check out the entire letter below.